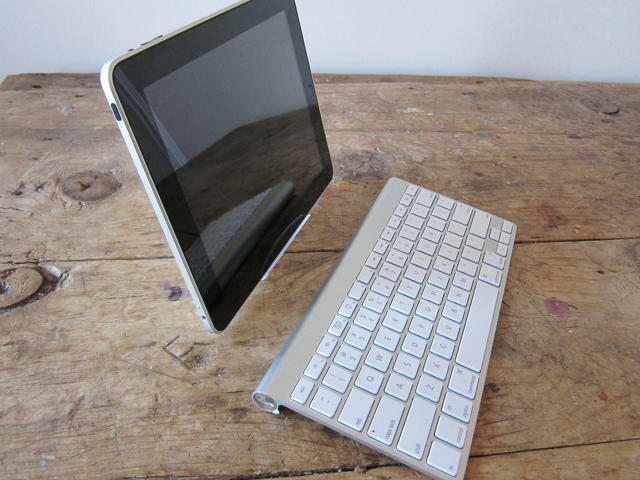 Leander seems to think the iPad Keyboard Dock is a no-duh-brainer for real iPad typing, but at $69.00, it’s a luxury accessory when most of us already have Apple’s own bluetooth aluminum chiclet keyboard on our desks (in my case, collecting tobacco detritus). 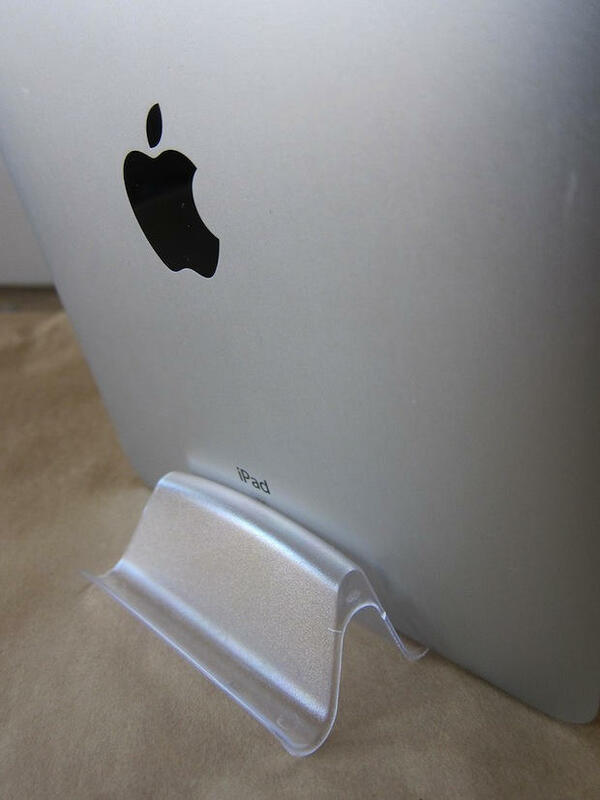 After all, if you already have a keyboard that will work with the iPad, the keyboard dock’s really just a stand… and New York Times’ Multimedia Editor Andrew Devigal found out that the cheapest stand solution out there for the iPad isn’t 69 dollars, but 69 cents: namely, a business card holder from Office Depot. Of course, the dock also charges and syncs your iPad, so if you want to go with this solution you’ll need to resign yourself to losing the ability to type on the iPad when its in a vertical position when the syncing cable is attached. (Edit: No, you won’t! As Bryan points out in the comments, you can just turn your iPad upside down and it’ll automatically re-orient itself. D’oh!) You’ll also sacrifice some of the function keys’. Still, who said frugality never meant some sacrifices?